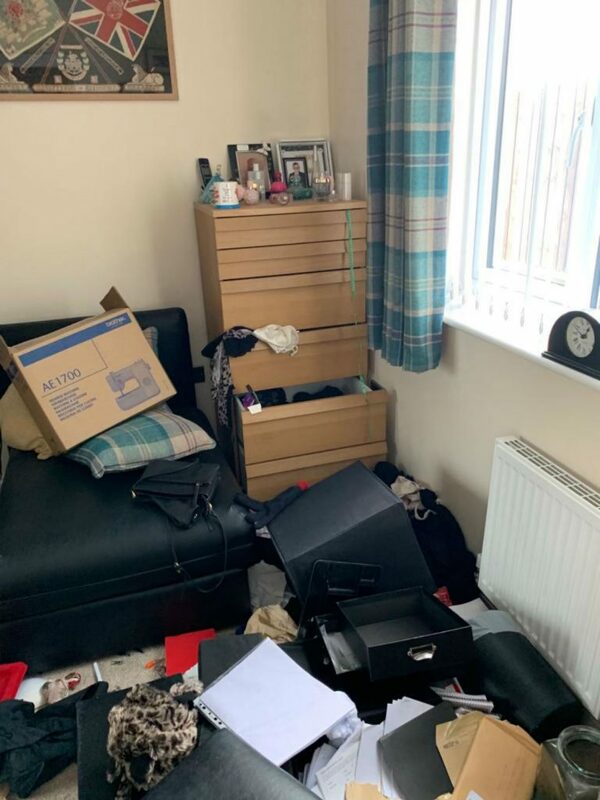 A BURGLARY victim has released pictures showing how her home was trashed – while she was at hospital with her partner who is being tested for dementia. The 57-year-old victim returned home to discover that among the items stolen was a ring given to her by her late father. But the burglars bungled an attempt to disable the CCTV system at her property and she has released footage in a desperate bid to help catch the criminals. The break-in happened on Monday morning in Gildersome, West Yorkshire. The woman’s son, Daniel Thornton, 31, posted the CCTV footage and photos on Facebook, writing: “Please share far and wide for everyone to see. These are the low life scruffy bs that broke into my mum’s house and absolutely ransacked the place. Daniel revealed that the burglars cut off power to the house in the hope of disabling the CCTV system. They also redirected the cameras to avoid being filmed. But they did not realise the cameras are powered separately and stopped in full view of the CCTV. She said she was only out of the house for a few hours accompanying her 69-year-old fiance to hospital where he was being tested for cognitive problems possibly linked to dementia. Photographs show the extent of the damage the burgalrs caused to the property including smashed windows and upturned rooms. 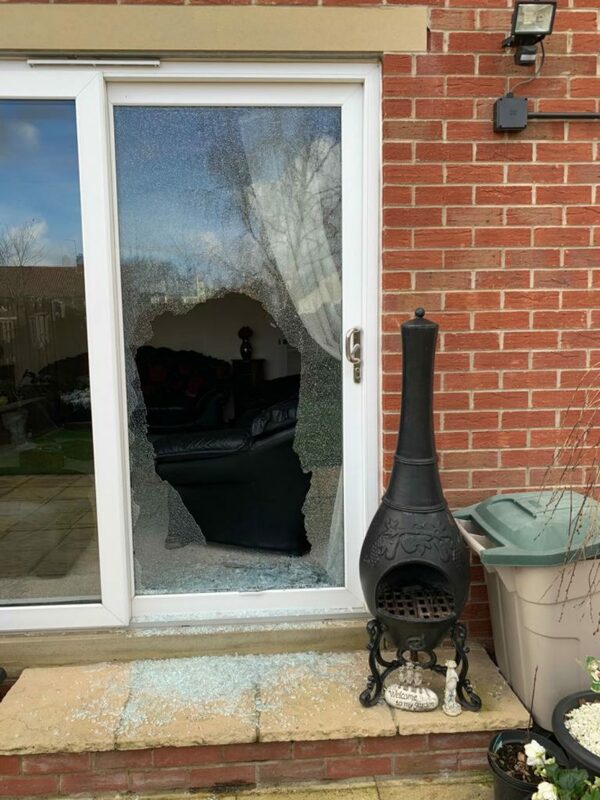 A spokesman for West Yorkshire Police said: “Police were called to an address in Gildersome at about 11.30am on Monday February 11 to a report of a break-in which took place between 11.15 and 11.28pm on that day.